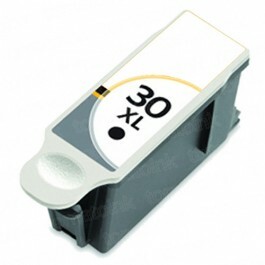 Bundle up and save with a 8 pack of Kodak 30XL compatible ink cartridges: 5 unit of Black, 3 unit of Color. 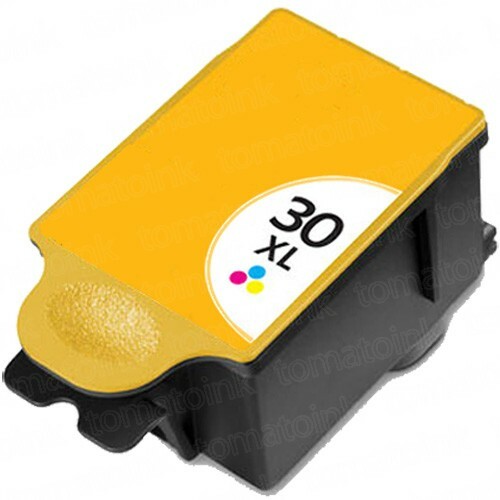 TomatoInk always delivers high quality compatible Kodak 30XL ink cartridges for the best affordable price online. 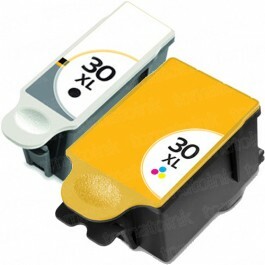 Thanks to our first-class manufacturing facility and conveniently located warehouse that eliminates the middle man, we ship out your premium Kodak 30XL combo pack of 8 ink cartridges for an economical price. 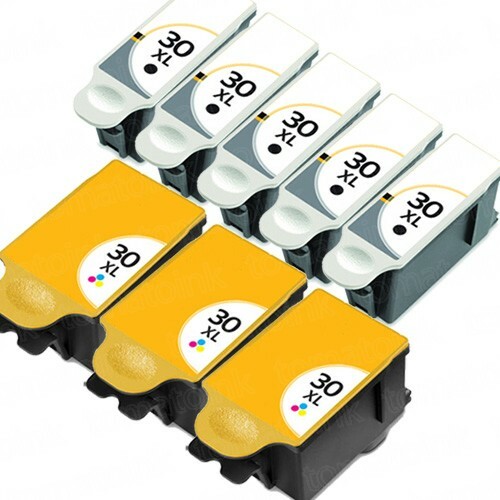 So save up to 80% with us now on your 8 pack of Kodak 30XL ink cartridges today and get free shipping on orders over $50 anytime, anywhere. Our promise to you for high-grade compatible Kodak ink cartridges also comes with a 1-year 100% satisfaction guarantee. 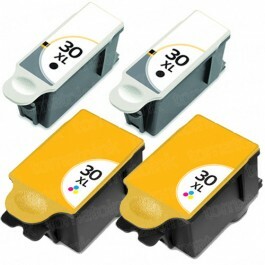 I have a Kodak printer just be sure clean the printer head every time and works great. I had too do the Kodak brand also. Thanks Tomatoink. Love that it was super cheap and as good of quality ink as anywhere else. Don't think I will ever shop for ink anywhere else! The ink that I purchased works just fine. Also very pleased how fast the delivery service was.